1957: Johnnie Ray had the #1 song in the U.K. with "Yes Tonight Josephine". 1962: "I Can't Stop Loving You" by Ray Charles was the new #1 song in the United States, replacing "Stranger On The Shore". 1962: "Stranger On The Shore" was #1 for the seventh week on the Easy Listening chart for Mr. Acker Bilk. 1964: The Rolling Stones made their American debut at the Lynn High School football field in Lynn, Massachusetts. Johnny Rivers and Bobby Goldsboro opened the show. 1965: Bob Dylan and girlfriend Sara Lownds returned to the United States after living in Britain for a while. The two would marry in November. 1966: The Who were in concert at the Grona Lund in Stockholm, Sweden. 1967: A historic day as the Beatles released the album Sgt. 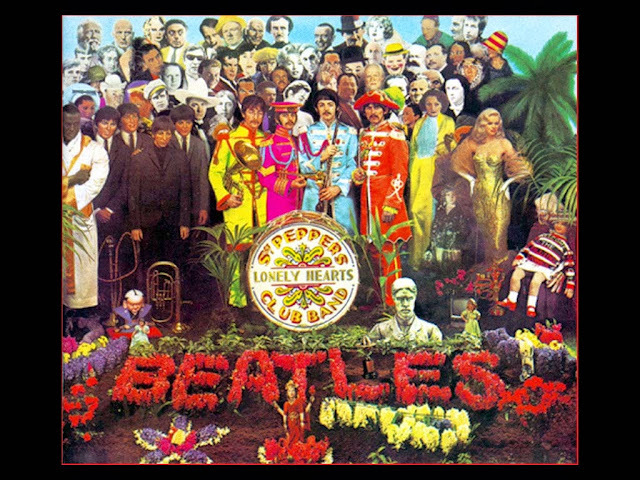 Pepper's Lonely Hearts Club Band in the United States. The album had been released the previous day in the U.K.
1969: Tommy James & the Shondells released the classic single "Crystal Blue Persuasion". 1969: Kenny Rogers & the First Edition released the single "Ruby, Don't Take Your Love To Town". 1972: Dion reunited with the Belmonts at Madison Square Garden in New York City. 1973: Paul Simon watched as his "Kodachrome" rapidly moved up the chart, moving from 57 to 28. 1973: ELO began their first tour of the United States at San Diego Stadium in San Diego, California. 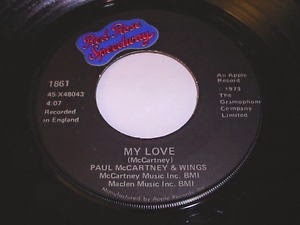 1973: "My Love" from Paul McCartney & Wings moved to #1 on the Easy Listening chart. 1973: Red Rose Speedway, the new album from Paul McCartney & Wings, pulled away from the competition in its fourth week of release, moving from 13 to 1. The album it displaced at #1 was the Beatles/1967-1970 (the "Blue" album). 1973: Paul McCartney & Wings made it a triple crown with the new #1 song "My Love". Elton John found himself at #2 with his biggest hit to that point with "Daniel". Edgar Winter Group tumbled to 3 with "Frankenstein" while Sylvia's solo hit "Pillow Talk" was at #4. 1978: Bruce Springsteen released the album Darkness on the Edge Of Town. 1978: Crystal Gayle hosted Tom Petty & the Heartbreakers on The Midnight Special on NBC-TV. 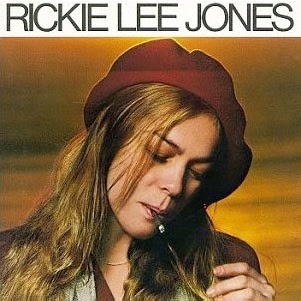 1979: The debut album from previously unknown Rickie Lee Jones was generating talk and moved into the Top 10 on this date. 1979: "Hot Stuff" gave Donna Summer her third #1 song after "Last Dance" and "MacArthur Park". 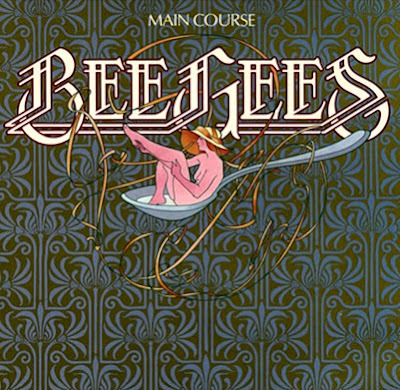 "Hot Stuff" was one of a select few songs I called "Disco Rock", for it really was a melding of two musical styles. Had more songs been like this, disco would have lasted much longer. Peaches & Herb relented from their hold on #1 with "Reunited" while the Bee Gees edged closer with "Love You Inside Out". Supertramp had their first Top 10 with "The Logical Song". 1984: Wham! reached #1 in the U.K. with "Wake Me Up Before You Go-Go". 1984: "Time After Time" from newcomer Cyndi Lauper distanced itself on the Adult Contemporary chart, reaching the #1 position. 1984: Huey Lewis & the News had the fastest-rising song within the Top 10 with "The Heart Of Rock & Roll", moving from 13 to 8. 1986: Peter Cetera released the single "Glory Of Love". 1989: 48 year-old Bill Wyman of the Rolling Stones married 19 year-old Mandy Smith. 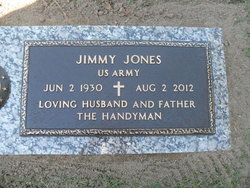 He couldn't find anyone close to his own age who would have him. 1990: We were introduced to a new young singer with a powerful voice on this date as Mariah Carey first appeared on the scene with "Vision Of Love", her first chart hit. She would give us many more great songs until she changed. 1990: "Do You Remember" by Phil Collins moved into the #1 slot on the Adult Contemporary chart. 2008: Bo Diddley died of heart failure at his home in Archer, Florida at the age of 79. 2010: Randy Newman earned a star on the Hollywood Walk of Fame. 2010: Paul McCartney received the Gershwin Prize for popular song from the Library of Congress by United States President Barack Obama at the White House. 1932: Sammy Turner ("Lavender-Blue" from 1959) was born in Paterson, New Jersey. 1936: Otis Williams of the Charms (six hits in the early Rock Era, including "Ivory Tower" from 1966) was born in Cincinnati, Ohio. 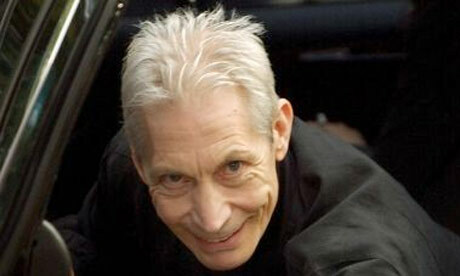 1941: Charlie Watts, drummer of the Rolling Stones, was born in London. 1950: Antone Tavares of the sibling group Tavares was born in Providence, Rhode Island. 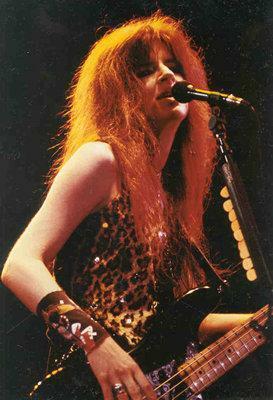 1954: Michael Steele (real name Susan Thomas) of the Runaways and the Bangles was born in Pasadena, California. 1960: Tony Hadley, vocalist of Spandau Ballet, was born in Islington, London, England. 1962: Thor Eldon Jonsson, co-founder and guitarist of the Sugarcubes, was born in Reykjavik, Iceland. 1970: B-Real (real name Louis Freese) of Cypress Hill was born in South Gate, California. I worked at KFXD-AM & FM in Boise, Idaho for 10 years, serving as Research Director, Music Director and Sports Director among other things. 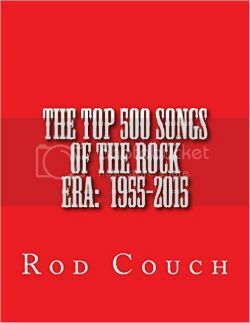 During this time, I researched, organized and produced several music specials including The Top 500 Songs of All-Time and The Top 100 Artists of the Rock Era. I started Inside The Rock Era in 2011 to counter the sea of misinformation about rock music in general and specifically which songs, albums and artists were the most successful. Since that time, Inside The Rock Era has received over one million page views. 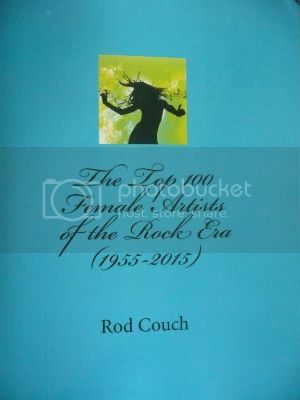 I am the author of two books, The Top 500 Songs of the Rock Era* and The Top 100 Female Artists of the Rock Era*, both available in softcover and Kindle on Amazon and on this website.